But you could say that a birth has happened! Something’s been brewing for quite a while now…in fact, there’s been over a year of hard labor, and yes, some blood, sweat, and tears along the way. I’VE WRITTEN A BOOK! (and I’m so excited, I’m telling you in all caps!). Talk about a birth- seriously- what a journey this book adventure has turned out to be. All I keep thinking is that I must have the most patient, understanding, supportive family on the planet, to have endured this past year with me! (mantra of this summer: “Mom, will you EVER be finished working on this book?? ?”) So thanks family, for hanging in there, and thanks you sweet friends for giving me some grace here on the blog. You must have thought I’d gone MIA! 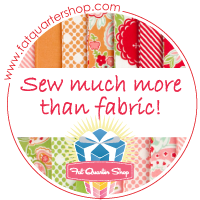 I’ve SO missed posting about all of my fun fabric craziness. 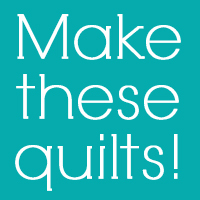 I can keep some secrets…surprise parties, birthday gifts…but 17 quilty projects born from the depths of my soul??? The biggest question is how in the world did I manage to not accidentally post pictures of them every single day? I wish I could give you all of the juicy details now- photos and more info to come later on- but I can tell you that my publisher for the book is Lucky Spool Media, and that even though it won’t be released until this upcoming Spring, pre-orders are already available on Amazon. So what is it about? 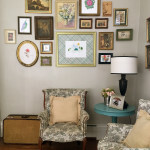 Yes, it’s about quilting (and lots of it), but what I love about it most is that it’s about SO much more than quilting. It’s about family and home and pancakes and heartache. It’s about life. It’s about why I sew, who I sew for, and how quilts can help us tell our stories, and inspire us to write new ones. And now I’m going to sign off, before I go and write the entire book again right here on my blog (and you know I would!). Preordered! It was already available on Amazon in the UK too. Can’t wait. Yes, it’s on Amazon. Count me in too. Way to go on your first book! Congratulations!! Can’t wait to see it! Oh Amy Congratulations! You’ve fulfilled a secret dream of mine. I’ve pre-ordered and can’t wait! 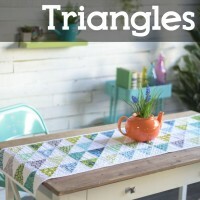 Congratulations Amy, I can’t wait to see all the beautiful quilts you’ve been working on this past year. Congratulations, I am so looking forward to having your book on my bookcase, I am sure it will be a knockout! Congratulations! I can’t wait to hear more- it already sounds great! Congratulations! I love the cover on this book. The way the quilt is raised up with the blue blanket at the bottom looks for all the world like a sailboat ready to go out on that lovely water. Congratulations, Amy! It sounds very exciting – and I know that you are! Can’t wait to see what it’s all about. 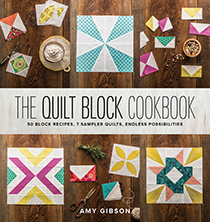 I know it will be a great book because you are a fantastic quilter. Squee!!!! Amy I’m so happy for you!! Firstly, you have an incredible family (but I’m pretty sure you already knew that) and you have so much spirit! 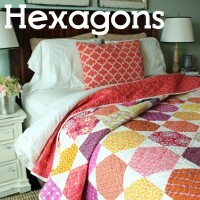 I love how passionate you are about quilting and how you are able to make it such an integral part of your life. Way to go Amy! I can’t wait to pre-order a copy for my 40th birthday in the spring!!! Congratulations and I am sooo excited for you and your family. Hugs for everyone. I am thrilled for you. You are such a good writer and quilter. This book will be outstanding. Pre-order now. Congratulations, Amy. I shall be eagerly looking for my copy in the spring. Congrats Amy!! Your book looks amazing!! Miss Amy, your very first Craftsy Quilt class gave me the confidence to just sew and be happy. 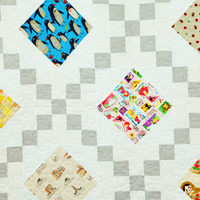 I was a baby quilter then and easily intimidated. I’ve since progressed to primary school level quilting, but I’m thoroughly enjoying myself. Your patient and joyful teaching style gave me exactly what I needed in a year of great transition. (We sold our home of 23 years, where our kids were raised and moved out of town into a new city, new condo, and new neighbors.) I now have that quilt as a permanent anchor in a new place. It reminds me of the love you exude in walking us through the process of wrapping others up in our own love. Way to go. Congratulations on your first (of what I am sure will be many) book. Congratulations! 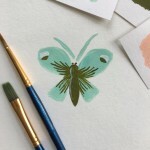 I have used so many of your tutorials, it will be wonderful to have your book! 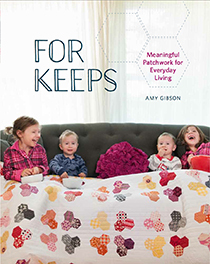 Hooray…aother book by my favorite quilter! Will be waiting anxiously for Spring of 2015 to arrive. Congratulations. This is awesome, Amy!!! As a published author myself, I know how exciting it is! 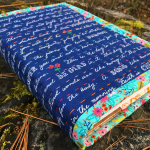 I have love you and your teaching method since I took your Craftsy Block of the Month Quilting class, and knew almost NOTHING about quilting when I started! 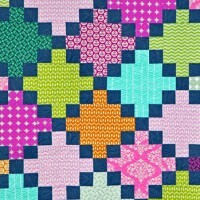 Then when I ad my husband bring my completed quilt in to the hospital for an extra blanket to keep me warm when I had Pneumonia last January, and all my nurses and visitors “ooed” and “awed” over it, I could only extol te virtues of an incredible quilting instructor that made everything seem so easy! So I KNOW your book will be a hit! I can’t wait to get my copy!!! Love you!!! How exciting for you! Love the cover! That is SO EXCITING!!! Congratulations. 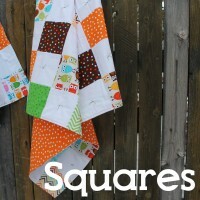 I can’t wait to see all that quilty goodness. If you do a blog hop book tour, I would love to host a day for you on my blog. Congratulations! I’m so excited and happy for you, I can’t wait to get my very own copy! I spotted your book on Amazon a few weeks ago and have been stalking it ever since. Can’t wait to see this one in person — so excited for you!!! How wonderful! That must be super exciting! I am headed over to preorder right now! Congrats! https://www.amazon.co.uk/dp/1940655072/ref=cm_sw_r_awd_ycEgub0GEMJZF. This is where you can pre-order your copy if you’re in uk! 6th May 2015 is their delivery date – definitely worth the wait! many congrats , Amy! I am pre-ordering this book right now! 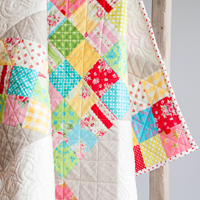 This is fantastic news…I love your quilts and hearing about your sweet family, too. Way to go, Amy!! Congratulations. I can only imagine your excitement to finally spill this HUGE secret. Can’t wait until spring. I can’t wait to see more. I love the cover. Congrats! What a journey you have been on. I am looking forward to reading all about it. You continue to bless and inspire me in both my faith and my quilting! Congratulations! I can’t wait to see more. congrats! wow! proud of you and your family! keep smiling…. So excited for you Amy! I just did a pre-order! Congratulations Amy! I going to go pre-order now! pfannkuchen sind liebe. (Pancakes are love) congrats! How exciting – can’t wait. Well done Amy. Congratulations, Amy!! It sounds amazing and I can’t wait to get my hands on it when spring comes. Well done sweetie! Preordered! Now about the patience, hhhmmmmm not so much! Looking forward to your new endeavor! Just preordered your book and can’t wait to receive it. Don’t know how you do everything, Amy! Congrats. I thought you might be writing a book. 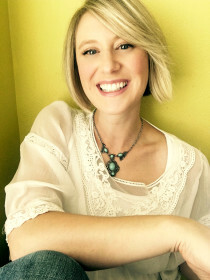 You have an energetic soul, Amy Gibson! Good for you! I can’t wait to see it and hold a copy of it in my hands! Congratulations!! How exciting for you! I’m looking forward to seeing it. So happy for you, Amy. I can’t wait to get it!! How wonderful! 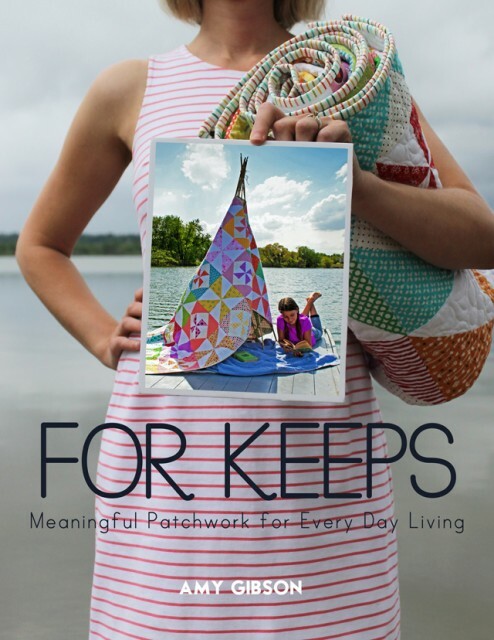 And amazing to see more people writing quilt books, not just sharing patterns. I love to read a book and all the stories. Congratulations! I can’t wait to see the entire book! Congratulations!! This is so exciting :) I can’t wait to check it out! Love the cover! I can hardly wait to see the insides in the spring. 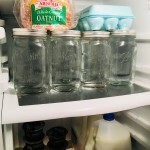 How wonderful for you (all of your backup troops, too)! Your book sounds amazing–can’t wait! And don’t feel guilty–Mom, will you EVER be finished . . . . is an all too common refrain that every mother has heard! Way to go! Eek! The spring is soo far away! I can’t wait to get a copy of your book!! Congratulations!! Such exciting news! I’m heading to Amazon to preorder! CONGRATS!! Definitely deserves all caps :D I’ll be looking for it! J’espère que le livre sortira aussi en France. CONGRATULATIONS!!! YOU are so amazing…I am SOOOO impressed with all that you do. You seem to be able to incorporate 48 hrs. into one day!!!! Can’t wait for your book to arrive!! Wonderful! Congratulations on the book! My birthday is in the Spring, I think I know what I will be asking for as a birthday gift :). Oh Amy how exciting! CONGRATULATIONS! I love that you also include tidbits about life in the book. It sounds very special. A great big CONGRATULATIONS, Amy!! Can’t wait to see more. Woo hoo!! I really don’t see how you do all that you do–I’m so impressed. Can’t wait to buy your book. Hats off to you and your family. Congratulations ,can’t wait to here more about it and see more of it. How is school going? Congrats!! The page you shared looks amazing! So happy for you! I love following your blog & am very excited to check out your new book. Congrats! This is very exciting!!! 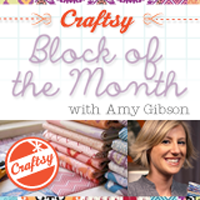 I have been enjoying your Sugar Block of the Month, so much so, I cut another set out so I could have two of each month … and … I made a twin sized quilt out of the January block. Yes, I am a huge fan of your style :). Now comes the waiting game until I can hold this book in my hands and actually enjoy all those 17 projects. I have been meaning to message congrats to you, I hope it is not to late. This is fabulously exciting! You are amazing, how you are able to accomplish so much, I think you could teach many about time organization and use of time. I have put your book on my wish list. I hope my family will get this for me as a gift when it is available. So exciting! Preordered mine on Amazon. Can’t wait! Congratulations, Amy! I have enjoyed all that you’ve done thus far, and I look forward to the arrival of your book. You are truly an inspiration to many! Thank you very much. Just preordered. I know I’ll love it. Thanks!